I had to buy me some Turkey the other day and was quite excited to do so. 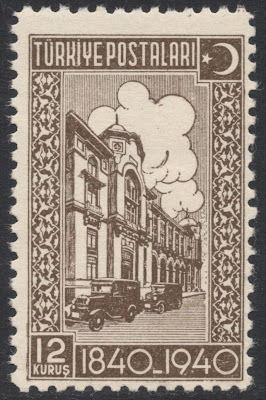 Turkey is one of those countries which hardly ever features in philatelic writings, giving it an aura of mystery, of unchartered territory. When my stamps arrived, I must admit I was rather disappointed because the majority of the stamps were rather unimaginative. Maybe that's why not much is written about Turkey in philately. But there was one set which was less 'Balkany' and more individual, and that was the 1940 stamp centenary set. 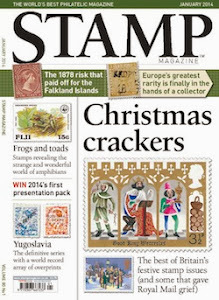 It immediately reminded me of the time when I wanted to start a collection on all 1940 stamp centenary items. It would start, of course, with the stamp which gave rise to this event itself. It's my only used stamp in my collection, but I justify that because I believe every (world-wide) collector should have a copy of it, yet I'm not prepared to fork out I don't know how much on a mint copy. 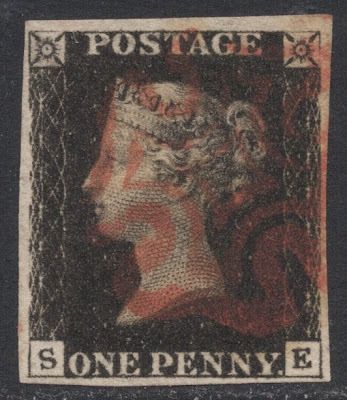 I know the stamp often gets dismissed as being 'ten a penny' and not rare at all, but it is iconic because it is the very first one. The collection should also, rather obviously, include the 1940 centenary set issued by Britain, what with Stamp No. 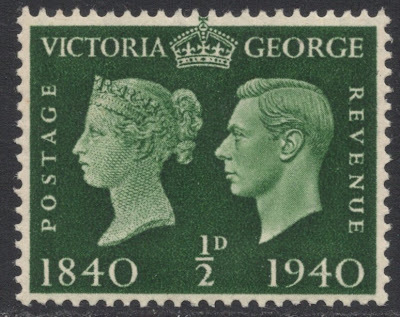 1 being a British stamp. But you'll be amazed to find how many other countries, and not just in the British Empire either, took the opportunity to mark this milestone and issue their own centenary stamps. 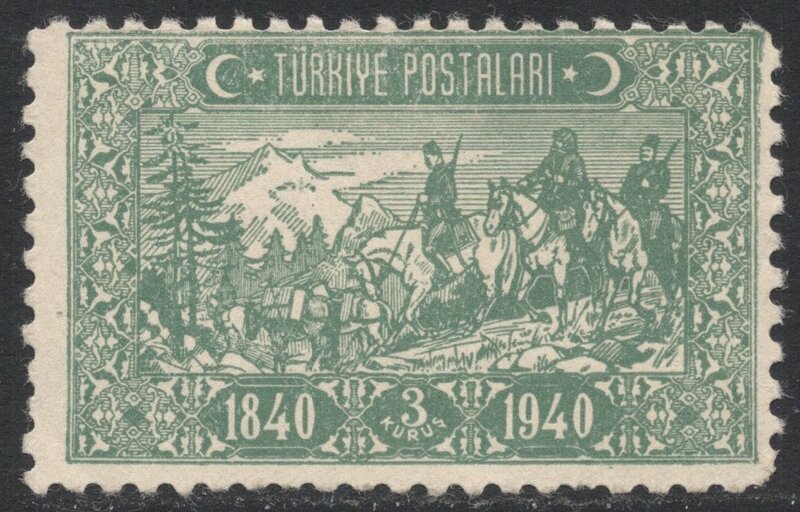 Some feature the Penny Black, others feature the nation's own stamps, and some, like this Turkish set, just have a more general postal theme. 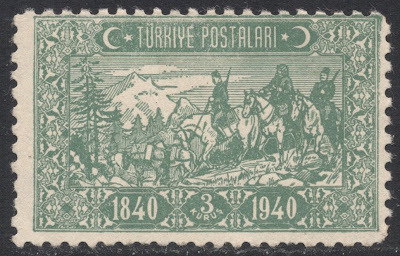 The set starts off with the 3 kurus grey-green value depicting mail carriers on horseback. They often used Arabian horses, which were intelligent enough to learn to ride at a saddle gait. I love the fact that they're all armed. It must have been a dangerous job in those days! The 6 kurus rose-red is my favourite stamp in the set. 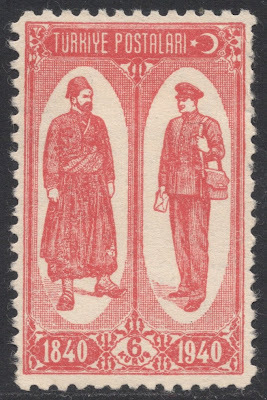 It depicts postmen from 1840 and 1940. That on its own is interesting enough but in this particular case it also shows how Turkey evolved from the Muslim Ottoman Empire to the secular Republic of Turkey, all thanks to their President, Kemal Ataturk. 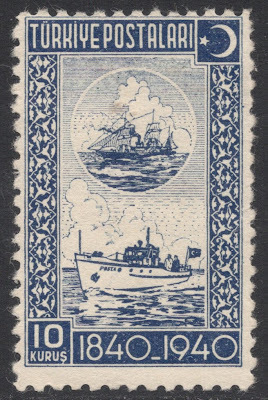 The 10 kurus deep blue has a similar theme, depicting sea mail in the 1840s and the 1940s. 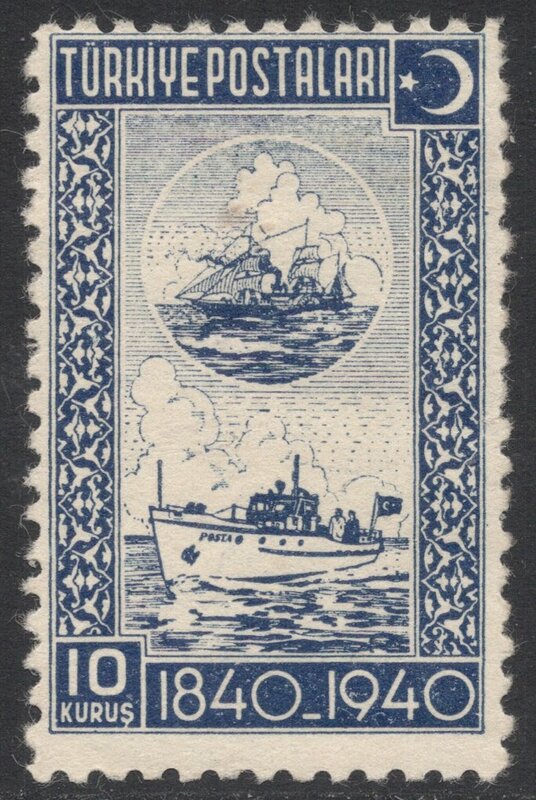 Though not half as striking as the previous stamp, I do like the design solution of including the old-fashioned paddle-steamer as a circular inset. 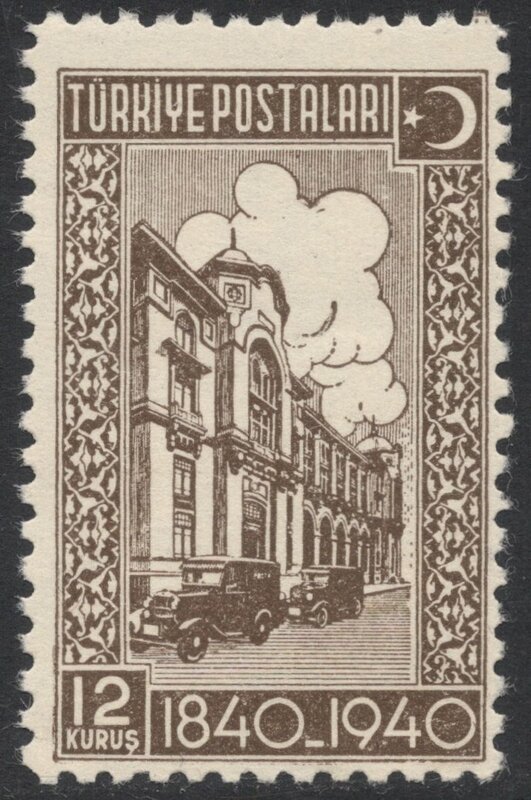 The final stamp in the set, the 12 kurus bistre-brown, shows the General Post Office in Istanbul. A relatively standard design, though nicely dated because of the vehicles included. All in all I think this is quite a nice set to have, so I'm rather pleased with my Turkish outing after all.